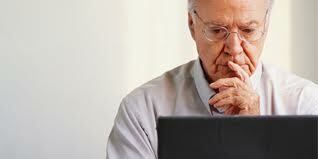 Resource Planning and Manpower Planning: Is you age Important when Job Hunting? 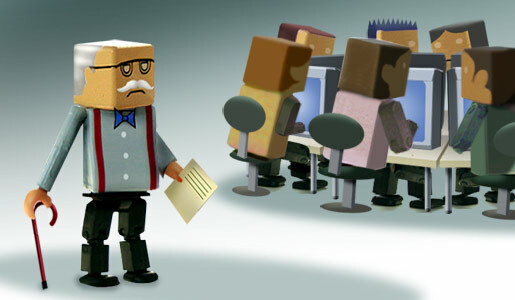 Age discrimination is an ever growing topic due to the relative health of older generations. With less manual labour undertaken it is unlikely that by the age of 60 you could not continue with the duties of your and if you live to 80 then you will have only worked for half your life. How can you ensure that your age does not become a factor when you are seeking employment later in life or as the result of a redundancy? One of the biggest complaints of older generations in the workplace is their inability to adapt to change, perhaps having been in the company so long they believe they know everything or know what's best but often they are much more likely to progress if they change and adapt with the role they are in. The older generation of today grew up in a time without technology, they are in competition for jobs with people who had computer lessons at school and new technology to them is simply like changing your clothes daily. This is a worry for the older generation who take longer to learn the necessary skills when technology is involved but with good training it needn't present a problem. There is a wealth of free to use computer courses and you may find your local area has drop in centers to help you get more in touch with technology, it is well worth investing the time as everything becomes more and more digital. Even if you know the basics there are shortcuts, tips and tricks which can really boost your productivity. When looking for a job later in life it is easy to expect that your experience will get you some kind of premium, in most cases it will get you a higher starting wage but not by much. The recruitment market is a buyers market so the employer will have cost at the forefront of their mind, with such varied competition you may need to accept a lower starting wage. If you ensure they have a good progression plan to move up the salary bandings then this should not worry you as proving your worth you will quickly gain higher pay. In many industries its common place to lie about your age. Take for example the case of the actress Huong Hoang who tried to sue IMDB for publishing her age, which eventually ended in the case being dismissed as there was no proof she had been the victim of age discimination. Of course the irony of that story is that by making an issue of her age she probably simply publicised it more than it would have been noticed had she not bothered. Age should not be something you have to hide so do not be tempted to chop a few years off in the hope it will help, be up front about your longeviety of career, there is no reason that if you are 50 that you will not be at the company just as long as someone who is 20, the average length of time in any role is around 3 years and within a company is now below 10 years. The days of career for life are long gone and this has helped the older job hunters enourmosly. Most companies when recruiting have to appear to not discriminate based on age, however certain aspects of your ability may be questioned and you need to be able to prove you can do the job advertised. The biggest barrier to employment in old age is not your age it's your skills so go out there and learn something new it will help.